If you'd say you don't get excited whenever Majolica Majorca's releasing a new chapter, I would have to say, you are one big liar! Yes, please say "AMALAYER!" now. Okay, sorry to be that corny (laughs). But hey, who wouldn't get excited. Majo Majo always come up with great products with really cute, amazing packaging. I'll be in all "Ohhs" and "Ahhs"whenever I'd be checking out their stuff. So if you think they stopped with Psychedelicious collection for 2012, you are wrong. They made sure they'll end the year with a bang with their newest collection, called Circus Ecstasy. 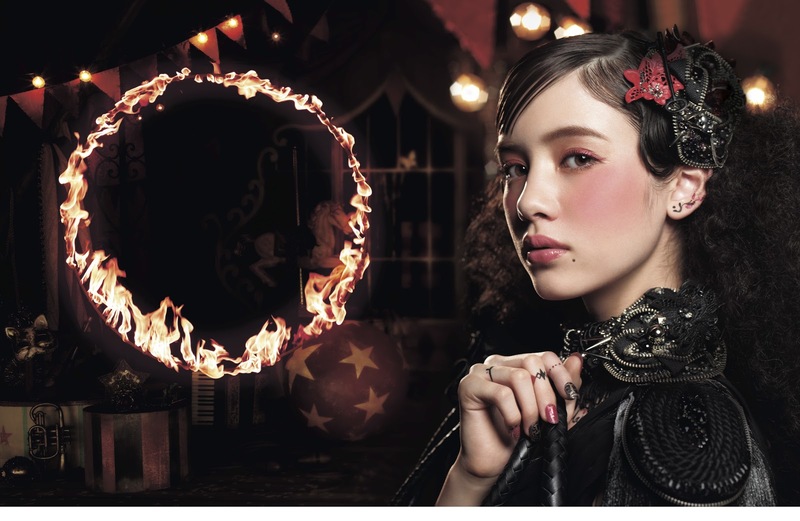 Circus Ecstasy is focused on bold alluring colors of red and black, very timely for a Winter theme. I love how the look made of red blush, red lips and rose colored eyeliner blended beautifully together for a romantic holiday look. The collection includes: Majoromantica Dream Circus Bottle, Trick on Liners, Creme de Cheeks, Crack Nail polishes and the Pantomime Hand Cream. Available in 4 gorgeous colors (Raspberry, Coral, Shell Pink and Custard), these babies give you supple and glossy colored cheeks in an instant. It comes off as a creamy liquid, and turns into a smooth powdery finish after blending. Great to be used as a base for your powdered blushes, too! Available in Black and Rose shades (yes, a liner in pink! Yay! 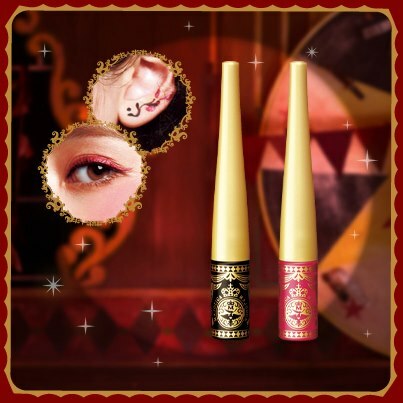 ), these can be used as an eyeliner or to create designs on your body. So yes, they are sweat, tear and waterproof! I am so gonna get these babies. I wanna sport "tattoos" this holiday season...what do you think!? I can really say these new stuff from Majolica Majorca are worth checking out. So drop bt your nearest Majo Majo counters and check out their new collection. They are now available in SM Department stores and Watsons. But take note, they are limited so better hurry! To get info about their latest promos and other updates, please follow Majolica Majorca on Facebook, Twitter and Instagram.